Documentary filmmaker Amy Berg's latest film, West of Memphis, details the gross miscarriage of justice in West Memphis, Arkansas, that convicts 3 innocent teens of murdering three 8 year old boys in 1993. 14 years later, after new DNA evidence exonerates the men, the same judge, who originally presided over the case, promptly dismisses it. It's this reluctance admitting a mistake that prompts Lord of the Rings director Peter Jackson and Berg to produce a film chronicling the men's tragic story in an attempt to sway public opinion and change the court's decision. The result is a thorough and compelling examination that uncovers shoddy police work and a sinister plan to wrongfully charge Damien Echols, Jessie Misskelley Jr. and Jason Baldwin with murder (one scene provides proof that the lead investigator manipulated a mentally-challenged Jessie Misskelley Jr. into changing his statement to incriminate the trio). Thanks to the support of loved ones and influential people like Jackson, Pearl Jam's Eddie Vedder, Actor Johnny Depp and Dixie Chicks' Natalie Maines, the three wrongfully incarcerated gentlemen were released on August 19, 2011, but only after each making an Alford Plea, which admits their guilt. This is the Attorney Office's desperate move to avoid getting a wrongful conviction lawsuit, which could possibly cost the State $60 million. Although they won their freedom, the men still lose their good name. 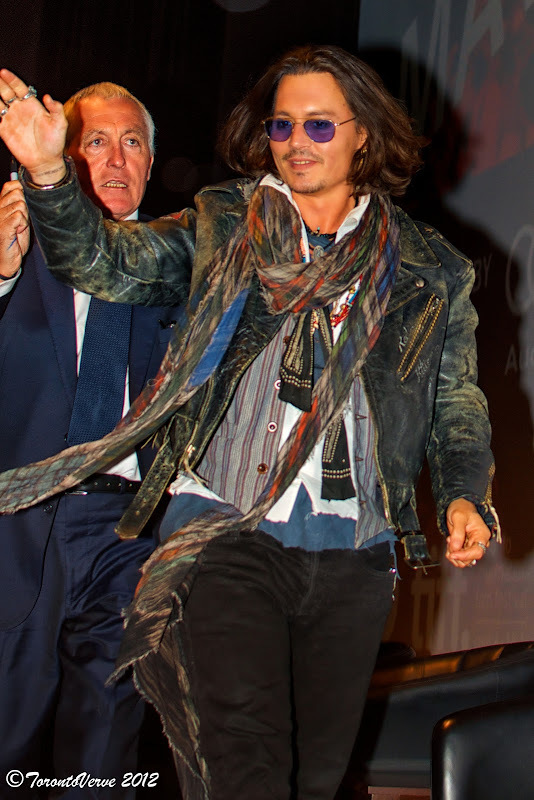 Johnny Depp and Natalie Maines attended the film's TIFF screening to help bring attention to the men's story and explain their involvement in the film. Also in attendance was Damian Echols and his wife, Lorri Davis, to share their long journey seeking justice, which still continues as they try to overturn Echols' guilty plea and receive a full pardon. Echols almost missed the event when he was nearly denied entry into Canada for his criminal background. West of Memphis is an achievement in documentary filmmaking for Berg and deserves to be seen.